In the previous sessions of this series we have talked about aspect of using FusionReactor which were focused on what it could tell you while problems were happening or starting to happen. But what if your monitored instance or server has crashed/restarted? FusionReactor tracks up to 1 weeks worth of information in the core metric graphs – if the server crashed or restarts, this information is no longer available (as it’s stored in memory). But FR still has the information in the logs and it’s still available in the Archive metrics. In the previous session of this series, we looked at the features of FusionReactor that generally make it easy to see why a request or transaction is slow, but we acknowledged that sometimes those features don’t identify the reason. Troubleshooting with FR, part 2: Why are requests/transactions running slowly? In the previous session of this series, we took a broad view at how FusionReactor can help you understanding what is or has been going on recently in your server/instance, especially in terms of request or transaction processing. That said, some problems will remain elusive, because they have to do with a request doing something that is not so clearly identified with these features. In part 3, we will move on to using features of FR that can be used in such cases. Troubleshooting with FR, part 1: What has just happened on my server? In this session, the first of 3 parts, we will focus on using the key aspects of FR related to finding what is or had been going on recently in a given server/instance. And whereas some folks tend to presume that problems are due to resource issues like high use of memory or CPU constraints, often it’s more important to step back first and look at the overall state of request and transaction processing, which may give real insight into the nature of problems (or indeed to confirm where there IS a problem, even when users or other monitors are reporting problems). There can be many explanations for WHY requests are slow or WHY resource usage is high. We will delve into additional features to better understand that in later parts of the series. In this first session, the goal is to get a clear understanding of the overall nature of problems, before diving into their causes. 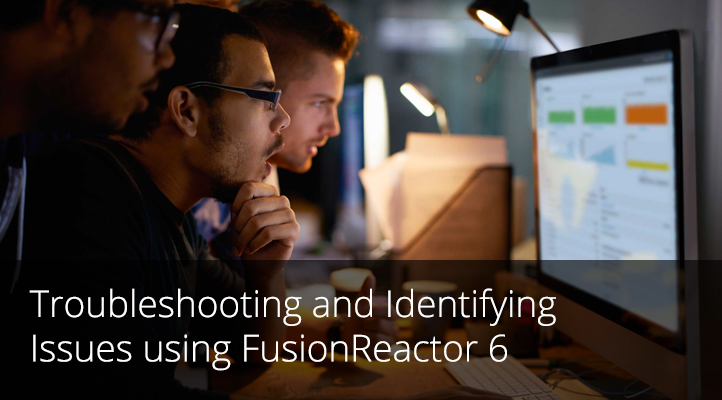 In this webinar you’ll learn about what’s new in FusionReactor 7 and 7.1. Did you know there were 20+ completely new core features and 100+ major improvements and bug fixes? Obviously we can’t chronicle them all, but if you are either moving to the latest release of FR or have been running on it, you’ll learn about many of the key benefits. Among the new features covered will be the new CPU and heap profiling, thread visualization, JMX metric monitoring, AWS cloudwatch integration, support for more frameworks, and more. 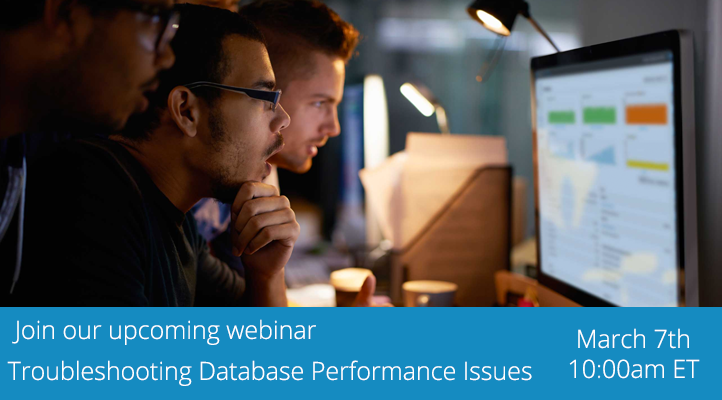 Among the enhancements we will discuss are enhanced tracking of request errors and calls to external resources, improvements to the interactive step debugger, auto detection of datasource names, and more. FusionReactor 7 also marked the production release of FusionReactor Cloud, and we will conclude with a brief introduction to that (covered already in another full webinar earlier in 2017). 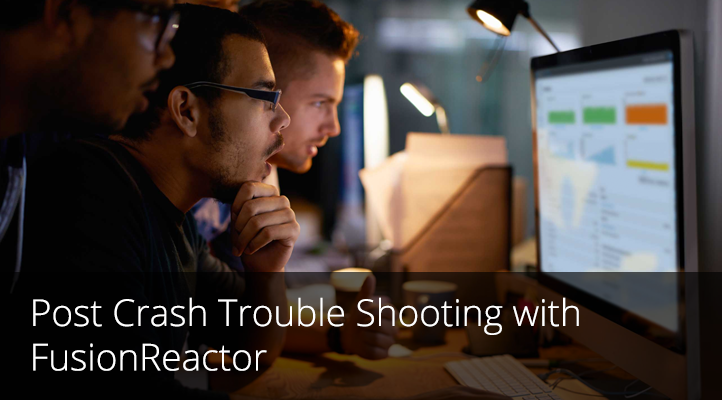 Are you aware of all the ways that FusionReactor can help you troubleshoot memory problems? They’re the bane of Java-based applications and application servers, right? Actually, sometimes what seems to be a “memory leak” actually has a root cause having nothing to do with JVM tuning or GC algorithm choices. Indeed, there are many tools and techniques that many turn to when trying to solve such problems, as well as tips and gotchas that may or may not really prove accurate or true for your own problem. There are also a fair share of (well-meaning) myths that swirl around resolving JVM memory problems. 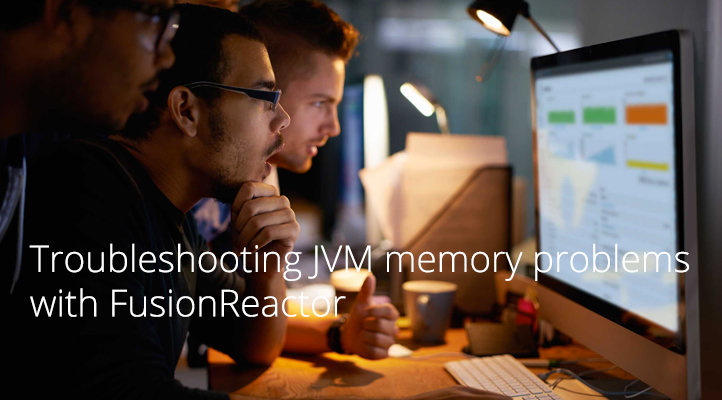 In this webinar, veteran troubleshooter Charlie Arehart will show the ways that FusionReactor can be used to understand (and indeed prove or disprove) JVM memory problems. Is there a problem with your heap, or might you be misunderstanding something you see? If memory use truly is high, what might be the cause? Or might you have a different kind of memory problem in another JVM memory space, like the code cache, or the metaspace (in Java 8 and above, or permgen in 7 and below)? Is garbage collection happening? Is it hurting? Would forcing one help clear up a misunderstanding? FusionReactor can show all this and more as we’ll see in this webinar, and soon it will help even more! 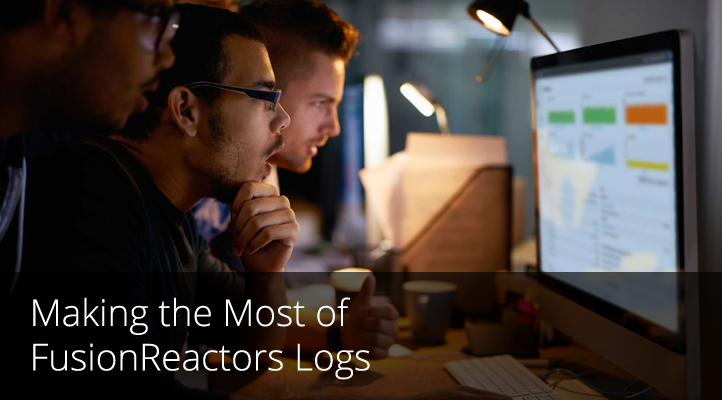 In past webinars we have mentioned in passing, at various levels of detail, the availability, power, and value of FusionReactor’s many logs. While those stressed their value (whether for post-crash troubleshooting, or for observing trends, and more), they could only barely mention the tools available to help you make the most of them. In this webinar, veteran server troubleshooter Charlie Arehart will take you on a guided tour of the logs, with a focus on how to get to them (in the FR UI and in the file system), how to find and use the online help for the logs, and most important how to use tools to make them easier to digest. Most people think to use FusionReactor to troubleshoot a problem WHILE it’s happening (looking at slow requests and queries, etc. ), but they may find that once their instance (of CF, Lucee, or a Java server) has crashed/restarted, they can’t see anything in FusionReactor about what went on BEFORE that crash/restart. In this webinar, veteran troubleshooter Charlie Arehart will guide you through using aspects of FR that CAN very much be helpful to understand and even resolve the causes of such crashes, especially via the FR logs and Crash Protection alert emails. He’ll review some specific examples of common problems and how to troubleshoot them this way. He’ll also briefly discuss the separate tools FusionAnalytics and FusionReactor Cloud, which each show information across restarts. Finally, he’ll show how there’s even value in the currently displayed FR information, at least to compare what the logs show to what’s “normal” as shown now. 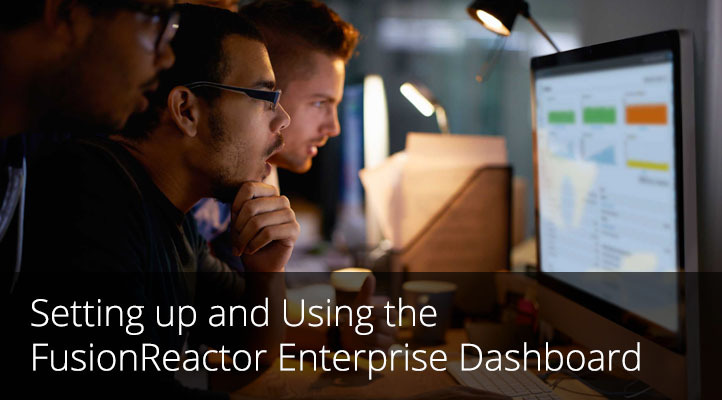 For users of FusionReactor Enterprise or Ultimate (or the Trial or Developer editions), it’s possible to setup an Enterprise Dashboard (ED) which can watch any number of FusionReactor instances (Enterprise/Ultimate/Trial/Dev) in a single screen (and optionally from a separate server from your monitored instances). Join us as we explore how to use FusionReactor Ultimate to identify and fix application issues that you would not usually be able to find an application performance monitor. Without hours or even days of work going through logs. 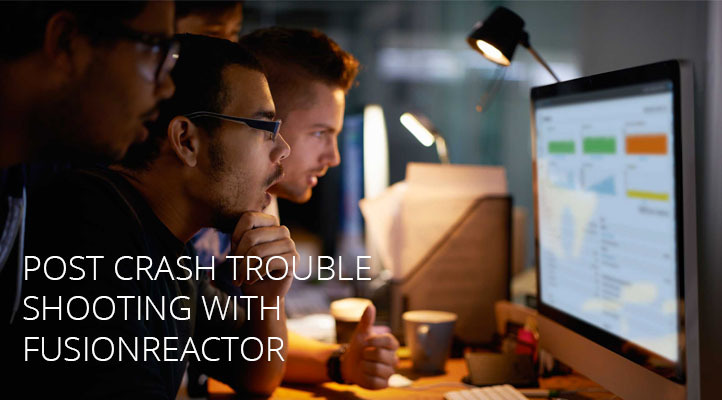 This webinar is recommended for users of all abilities and is a perfect introduction or refresh on how to use FusionReactor to fix your application issues. FusionReactor CLOUD moves FusionReactor from being an on-premise monitor into a Hybrid monitoring solution – extending FR’s feature set to enhance the monitoring, historic data analysis and alerting capability to new levels. Join us to learn what FusionReactor CLOUD has to offer, how it’s positioned within the Fusion product portfolio (compared to FusionReactor and FusionAnalytics) and gain an insight into the future product roadmap. So you have installed FusionReactor now what …? 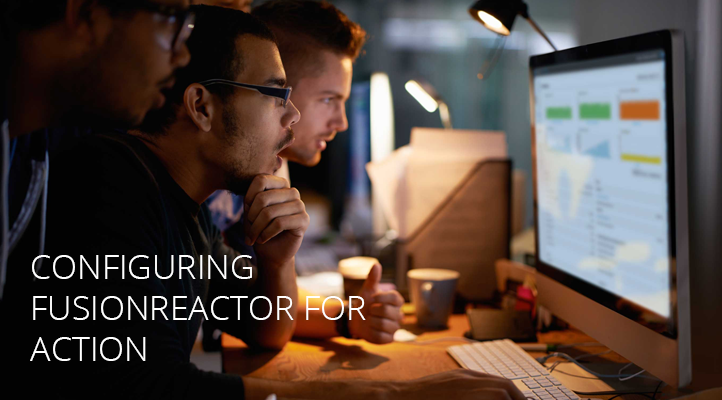 In this webinar we will be showing you how to get FusionReactor configured and ready for action. We will be covering the more advanced settings and features in FusionReactor. Along with showing you how to you can get to the root of the problem as fast as possible to resolve your Java application issues. 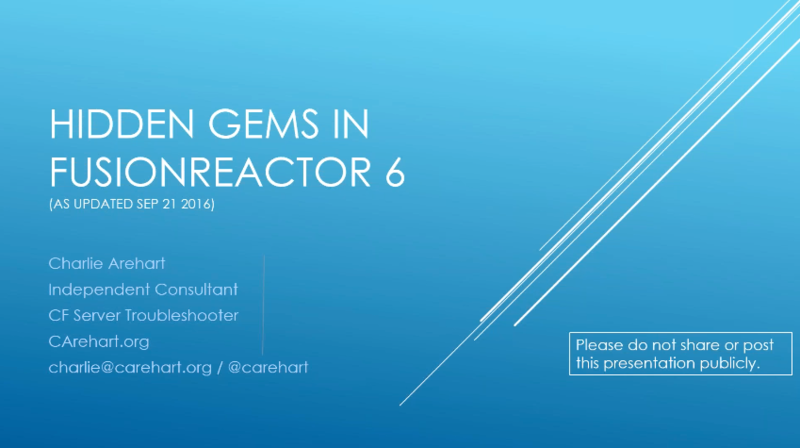 In this webinar, we focus on the newest release of FusionReactor, FusionReactor 6. 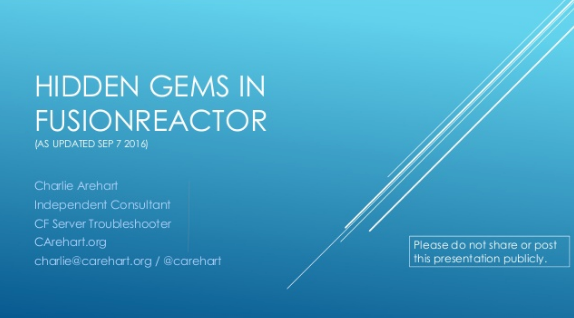 As with the other webinar, whether you are new to FR6 or have been using it (or one of its many point release updates) since it came out in Nov 2015, there are lots of hidden gems in every FusionReactor release and its updates which can make it still more useful for you. Are you a long-time (or even a new) user of FusionReactor? Whether you’re on the latest release (6) or an earlier one, there are lots of hidden gems in FusionReactor that can make it so much more useful for you, whether it’s about some useful settings you should consider enabling, or some helpful information it can report. Some people go years of using it and miss some fundamental aspects of FR that give it unique strength.